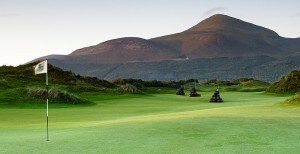 Are you ready for our Northern Ireland Golf Packages?! If you would like to find out more information on any of the golf courses discussed or would like to book a package tour to Ireland then drop us a line at travel@irelandgolf.com or call 00 353 66 71 81708. NEWCASTLE, Northern Ireland — It may be an ocean away on Ireland’s northeastern coast, thousands of miles from the States, and far from the typical tourist trail. 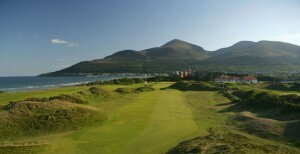 But do yourself a favor, and don’t let your golf career peter away without a visit to Newcastle, Northern Ireland, and its extraordinary links course known as Royal County Down. 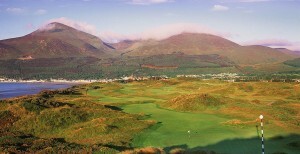 Northern Ireland Golf Packages are one of our customers’ favourite tours. 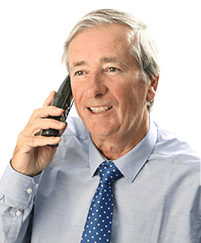 Bernard Darwin is one of the legends in the golf writing business. He once said of County Down that it’s “the kind of golf that people play in their most ecstatic dreams.” That’s an apt description to be sure, but lacking in the particulars that help define the surreal golf experience that awaits. One can refer to County Down as a green and golden moonscape. It’s something otherworldly, with massive gorse covered hills in different hues of indigo and dark green, with terrifying blind tee shots and gaping acreage of sand. One might suggest that the course is a bit like a primeval forest, where straying from the path, or in this case the fairway, will result in an unpleasantness better left to the imagination. You could focus on an unceasing, unyielding collection of bunkers. These bearded sand chasms are as deep as they are plentiful, covered with heather and Marram grasses. They are as lovely as a dream from close observation, but most often a nightmare when stuck deep within the confines. The course sits beneath the imperious gaze of the Mountains of Mourne, which loom heavily in the sky just west of the links themselves. Close by Dundrum Bay, an inlet of the Irish Sea, you’d be remiss not to take heed against the vagaries of the weather. Rare is the day without some wind or rain, and if the sea is boiling, watch out. The gusts on this magnificent will topple the trolley (pull cart), bend the flagstick, bend the ball flight and bend, perhaps even break, a player’s will to continue. The wind can blow so hard, and I speak from personal experience, that it will jostle the contact lenses across your pupil. Caught in a fight I couldn’t win, I caved in mid-fairway. I removed said contacts between strokes and continued the game by squinting. Dublin, but it’s the remote quality of the grounds that helps to explain why County Down is so special. It’s the feeling of splendid isolation as one ambles the foot paths or mounts the wooden steps to the next teeing grounds and encounters yet another stirring vista. This, arguably the greatest of links courses, is the polar opposite of a typical American golf experience. It’s as different as George Will and Will Smith. It’s normally gray, brisk and windy, not hot, muggy and sunny. The surroundings are a color carnival of ochre, lilac and bottle green, without a condo, road crossing, out-of-bounds stake or lagoon to be found. The turf runs fast and hard, not soft and spongy. Target golf, the aerial game, is left behind like golf carts and sunscreen. Here you must learn to play the bounces. Prepare to hit a mid-iron 230 yards downwind, but beware a driver that can’t surpass 190 when turned back into the breeze. Dobereiner goes on to praise the easy informality of the club members as well, a rarity in the often stuffy world of top echelon golf. After all, how easy is it to let one’s hair down at places like Augusta National, Cypress Point, Seminole or Muirfield? and panic, a fearsome but fabulous trek through one of the most memorable golf vistas imaginable. It’s a journey and an experience no matter how tough or trifling the conditions. It’s an expedition that any serious player or lover of the game should make at least once in their lifetime. If you would like to find out more on any of our Northern Ireland Golf Packages, contact us at travel@irelandgolf.com or call 00 353 66 71 81708. Alternatively, you can fill in a quotation form and let us get back to you with a list of prices.